This is a quilt I quilted early this fall. 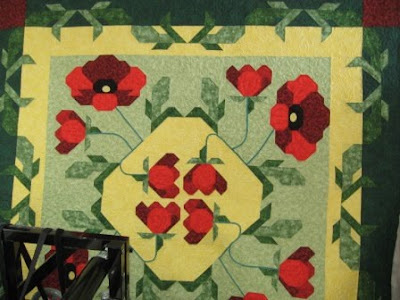 It is a Remembrance Day quilt that has been given to the National Defense office in Yellowknife. A group of four quilter's in Yellowknife has made the quilt top and then sent it to me to custom quilt. The frame of my quilt machine got in the way of the photo. 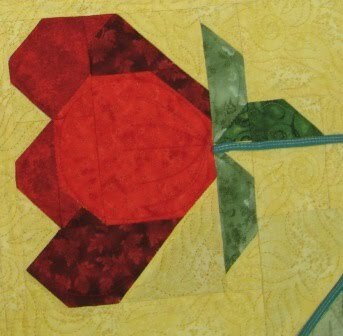 Here are two photos that show the quilting a little more. I have been behind in posting on my blog because all the machine quilting I have done lately. I got to sew for myself this last weekend. I will have to post later as all the projects are Christmas and I do not want to spoil it. 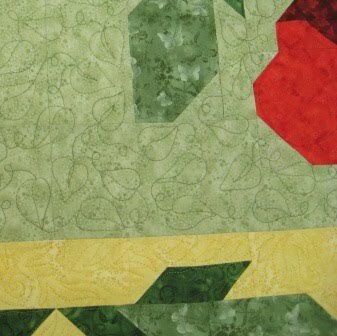 I will plan to post more quilts now and then the Christmas projects later.